Hi friends! 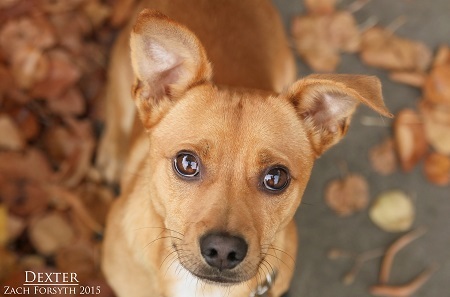 I’m Dexter your regular ol’ happy-to-the-bone 2 year old Chihuahua mix! People frequently ask me, “Dexter, are you a mad scientist or a psychopathic genius?” I always respond with, “No homie! I’m just a fun-loving, down to earth guy who is looking for a home!” I may not be into spending hours in a laboratory, but what I will do is play fetch, run around with my buddies at the park, and come home for pizza and cuddle time! I’m a pretty energetic dude and very social, so I would do well in a home with other animals and older kids (I say older only because I could use some training not to jump up on the little ones). Do I sound like the awesome, adorable companion you have been looking for? Fill out the adoption application so we can schedule a meet and greet! I am fixed, vaccinated and microchipped. My adoption fee is $250.